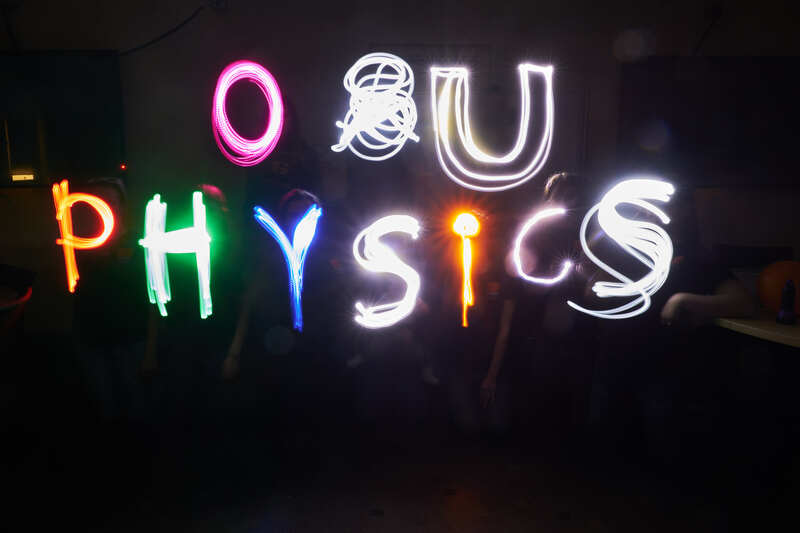 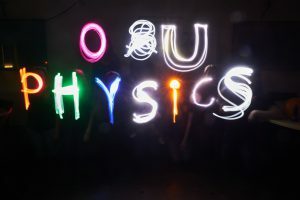 On Saturday, March 4th, the Physics Department was part of the annual “Discovering the Scientist Within” event at OSU. 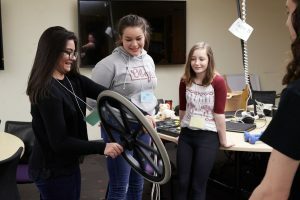 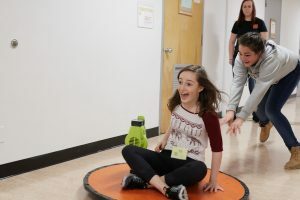 Twenty-three middle school girls from all over Oregon visited the department and learned about physics by playing with some of our coolest physics toys. 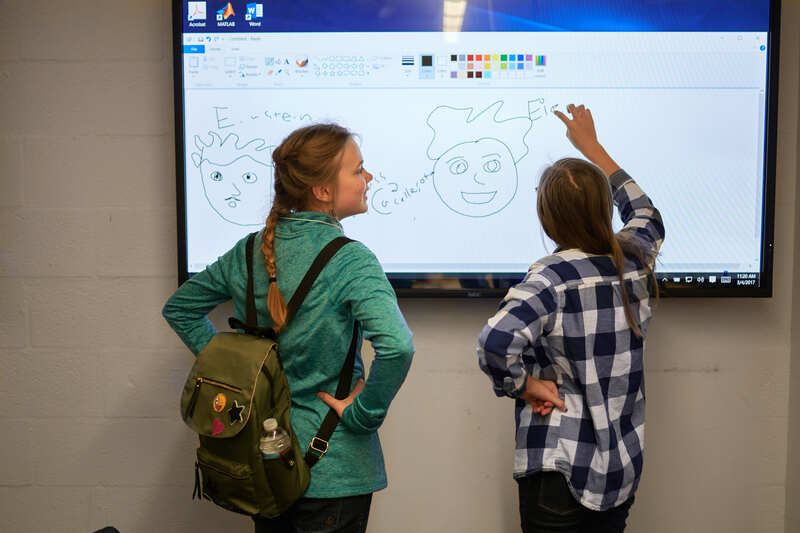 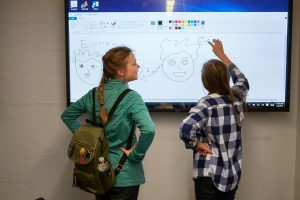 The girls drew “physicists doing physics” on the wall-mounted touch screens in our hi-tech studio classroom. 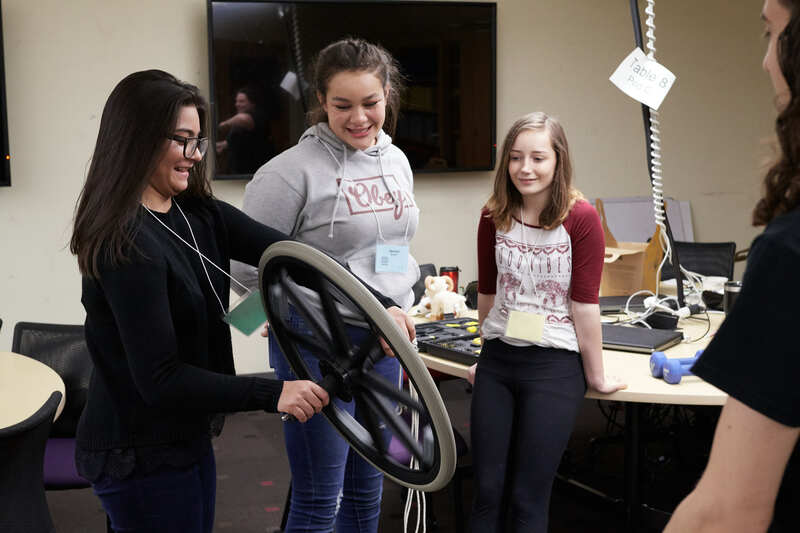 The girls played with our superconducting train, centrifuge chair, precessing bicycle wheel, standing wave strobe setup and tabletop hovercrafts. 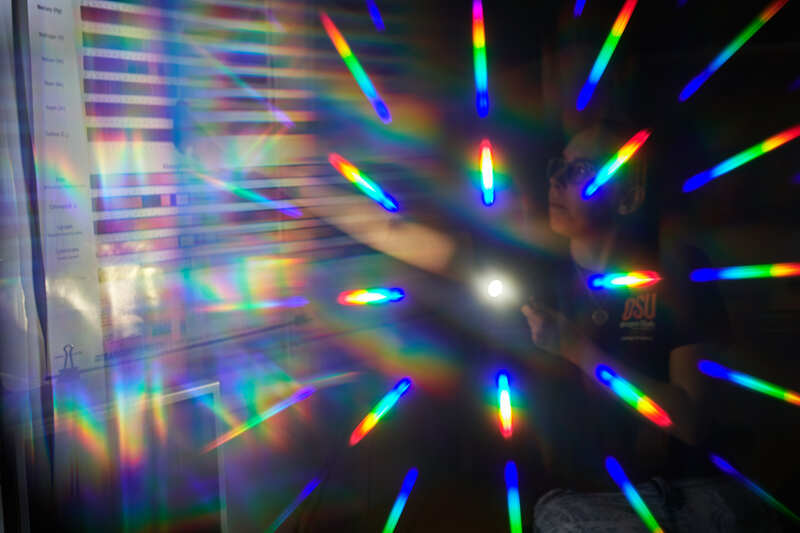 They used OSU diffraction glasses to look at atomic emission spectra. They zoomed down the halls of Weniger on our leaf-blower hovercraft. 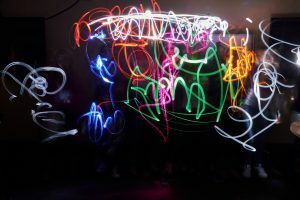 We turned out the lights and did some “light painting”. 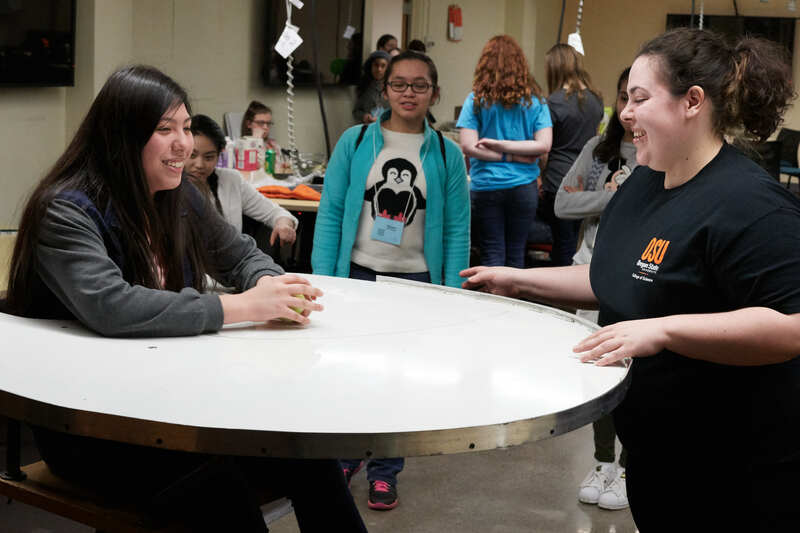 We finished the day with homemade liquid nitrogen ice cream. 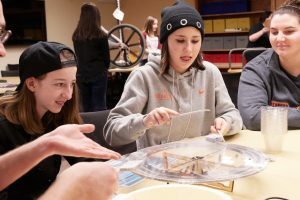 For more information about the Discovering the Scientists Within event, see the article in the Gazette Times.